A special supplement to Irish America by Turlough McConnell celebrating the 25th anniversary of the Boston College’s Burns Visiting Scholar in Irish Studies Program. 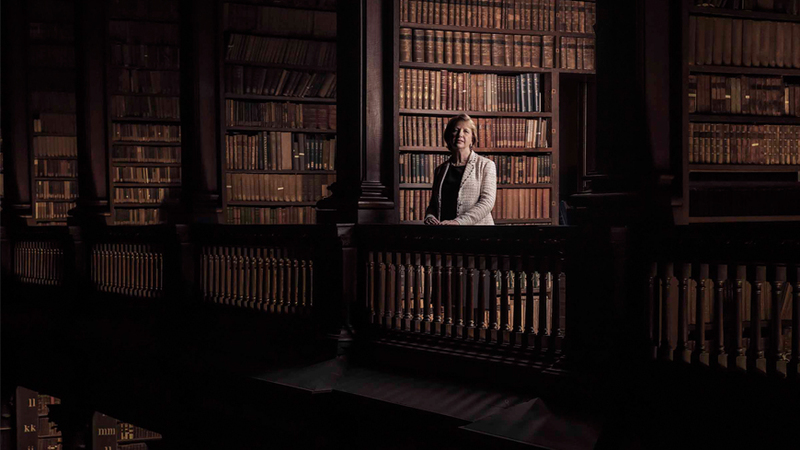 Featuring interviews with Mary McAleese, Mick Maloney, Nuala Ní Dhomhnaill, and more former Scholars. Original photography by Kim Haughton. Curated and produced by Turlough McConnell Communications for the Archdiocese of New York with generous support from CapTrust. This brochure accompanied the eponymous exhibition held at the Consulate General of Ireland, New York from March 7 – July 31, 2014. The exhibition remains on view at the Basilica of Old St. Patrick’s Gallery in New York City’s historic SoHo arts district on the occasion of their Bicentennial Celebration. This is the extraordinary story of a towering 19th century Irish immigrant and the Famine Irish who built a New York landmark. In this brochure, the contributing historians Dr. Terry Golway, Professor Christine Kinealy, Dr. Maureen Murphy and the novelist Peter Quinn in association with Turlough McConnell Communications contribute a valuable work of scholarship on the life and legacy of Archbishop John J. Hughes. 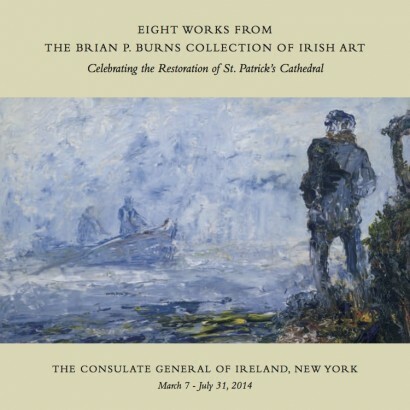 In conjunction with the exhibition “A Monumental Legacy,” the eight paintings featured in this brochure were exhibited at the Consulate General of Ireland, New York from March 7 – July 31, 2014. Curated by Dr. Éimear O’Connor, these works, from some of Ireland’s greatest masters, depict Ireland of the 19th Century. 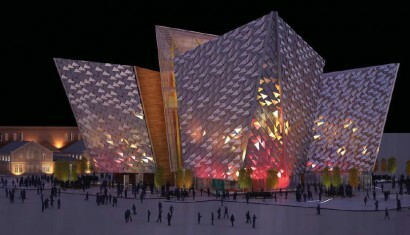 Including artists Jack B.Yeats, Seán Keating, James Brenan, Erskine Nicol, Maurice MacGonigal, George William (AE) Russell and F. J. Davis. 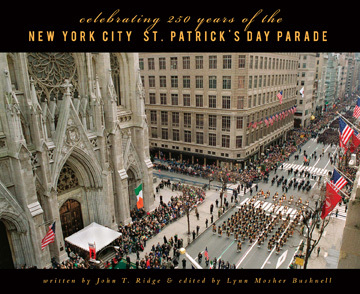 Through moving text crafted by John T. Ridge, one of New York City’s leading historians, this volume explores the past, present and future of Irish-American pride in a vivid celebration of the nation’s longest-running parade and the people and events who shaped it. The image of the long green line, gallantly marched by the descendants of the seven million who emigrated from Ireland to America over three centuries, illustrates the triumphs of a proud and passionate people. Drawing from New York’s most precious photographic archives, editor Lynn Mosher Bushnell has assembled a visual history of the parade that unfolds page by page with hundreds of rare and extraordinary photographs. 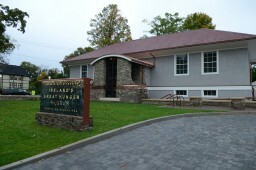 Celebrating 250 Years pays heartfelt tribute to the Irish in America. The annual parade reflects their strength, spirit and passion and contributes to the unique character of New York City. In his role as Contributing Director of Special Features for Irish America Magazine, special feature features, overseeing content, design and all aspects of production.